Today in class we created a model of DNA (deoxyribonucleic acid). 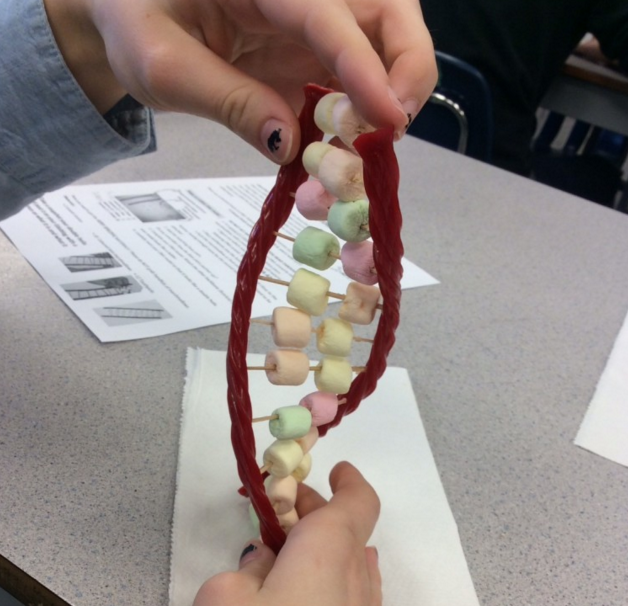 We used licorice, toothpicks, and coloured mini marshmallows to make a double helix, the shape of DNA when it’s outside the cell. DNA is a molecule that carries the genetic instructions for creating organisms, developing organelles, and reproducing cells and viruses. It decides what you look like.